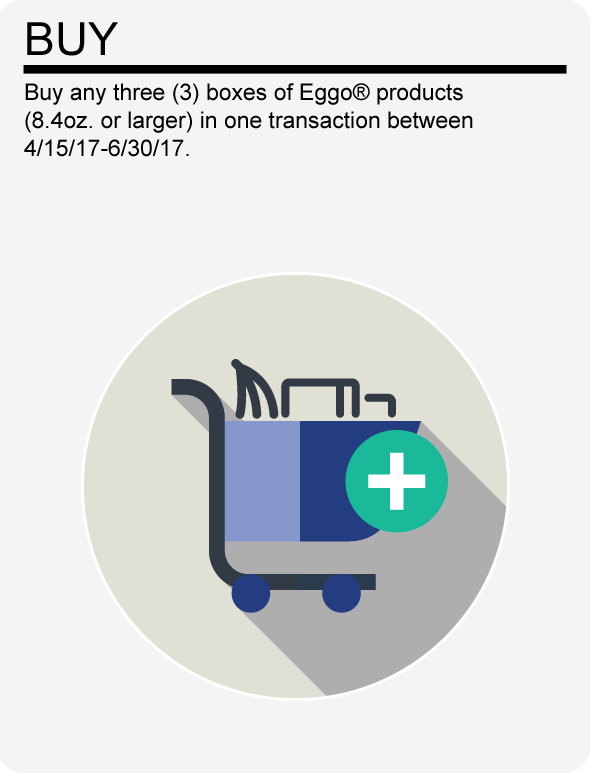 1) Buy any three (3) boxes of Eggo® products (8.4oz. or larger) in one transaction between 4/15/17-6/30/17. 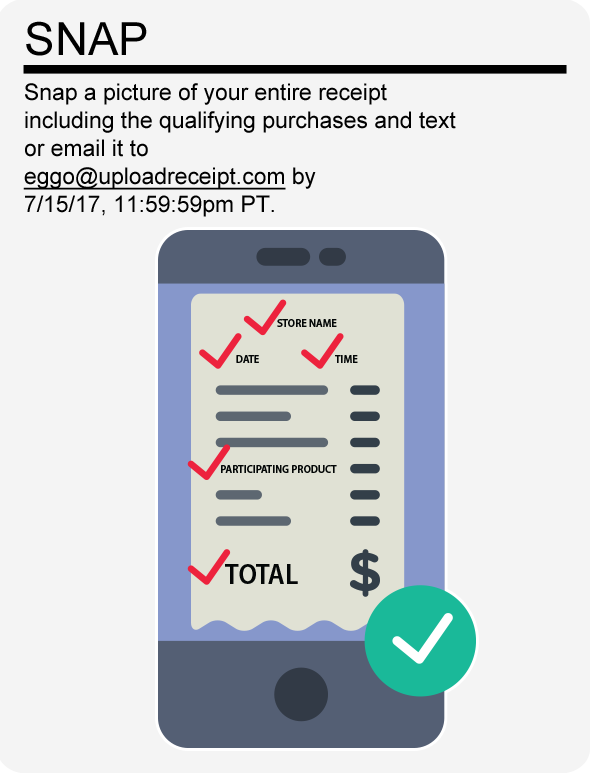 2) The photo of your receipt must be submitted to eggo@uploadreceipt.com by 7/15/17, 11:59:59pm PT. 3) Receipt must show retailer name, date, time, receipt total and qualifying purchases. 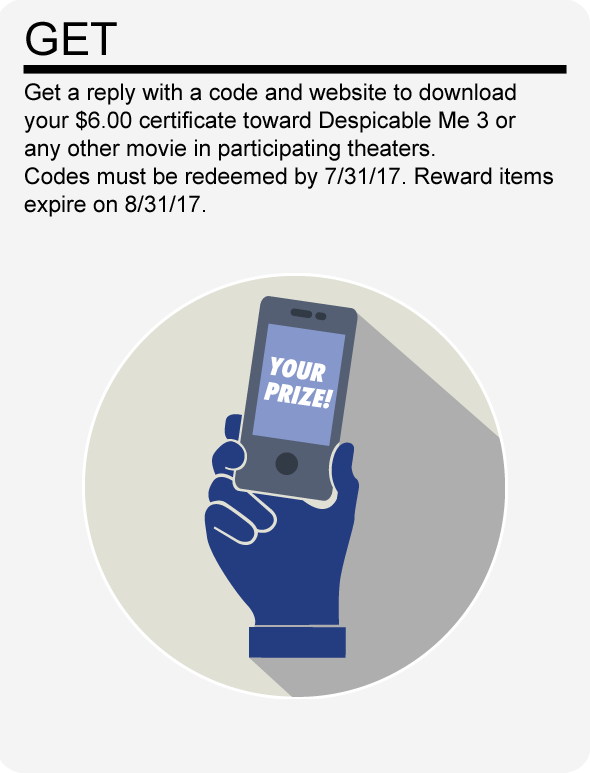 4) Each receipt can only qualify for one (1) reward. 5) Each receipt can only be submitted once. 6) Limit three (3) rewards per consumer for the life of the promotion. • Snap a picture of your receipt, ensuring all the items are in view and in focus. Despicable Me 3 © 2017 Universal Studios. All Rights Reserved.